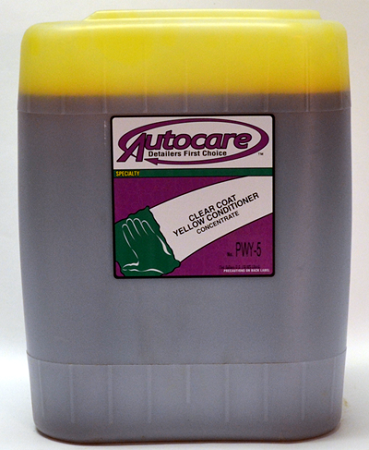 CLEAR COAT YELLOW CONDITIONER is a concentrated, visually appealing, high foaming conditioner formulated for all paint finishes. Designed for spray arches in automatic car wash systems. VOC Compliant.